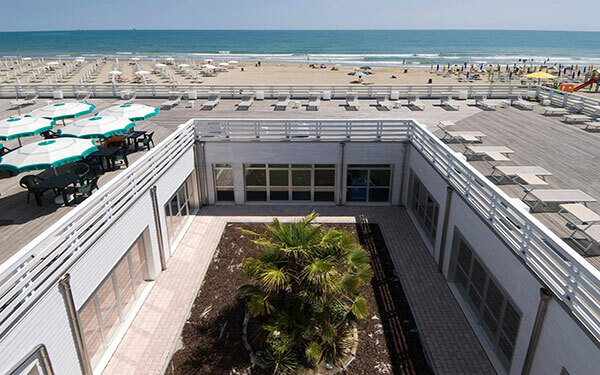 Located directly on the beach on the Adriatic coast, between the sea and the pine woods, the Terme Beach Resort is an oasis of peace in the National Park of the Po Delta and Riviera. 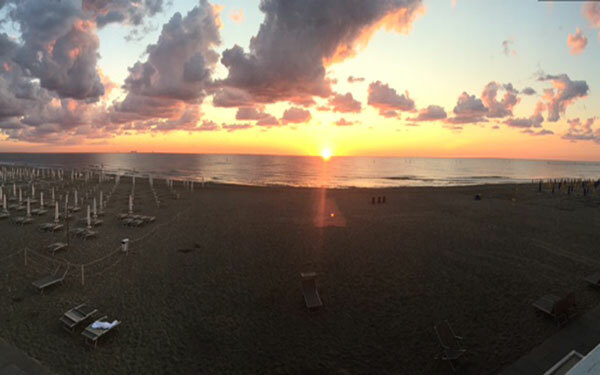 It is just a short walk from Marina di Ravenna and 7 kilometres from the historic centre of Ravenna. 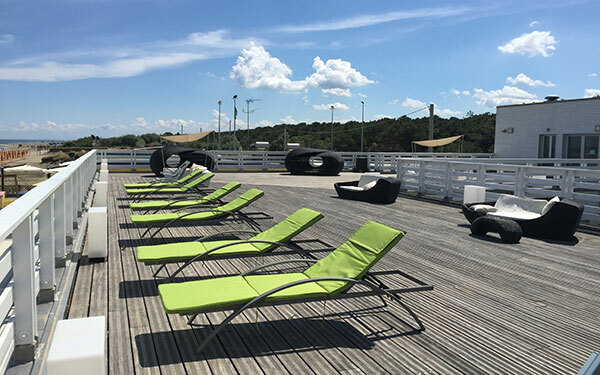 The Resort is part of a complex that also includes a Spa, the Terme di Punta Marina and a private beach with bathing facilities, offering therefore a complete wellness package in the immediate vicinity of sports facilities, and cultural and recreational tourist attractions. 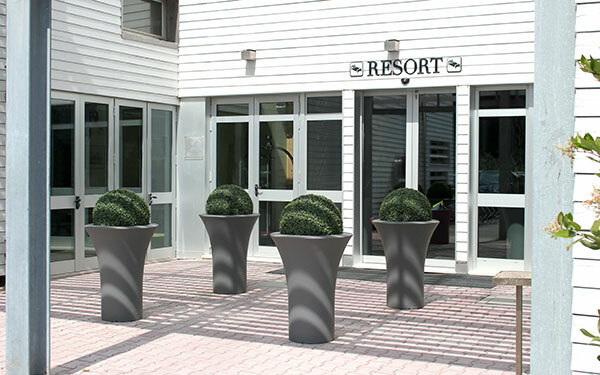 The resort contains 26 bedrooms of various sizes suitable for all needs, with modern comforts and amenities. 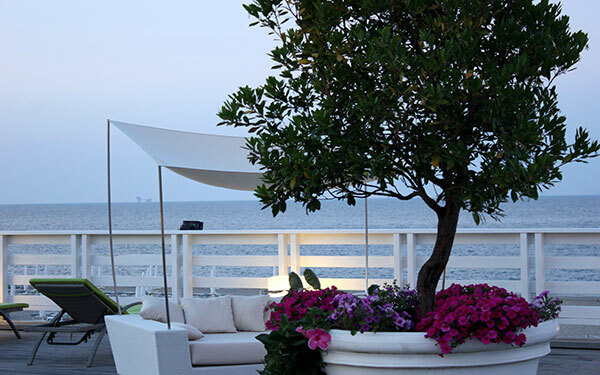 In the morning, a sumptuous continental buffet breakfast awaits, served on the terrace during the summer months. 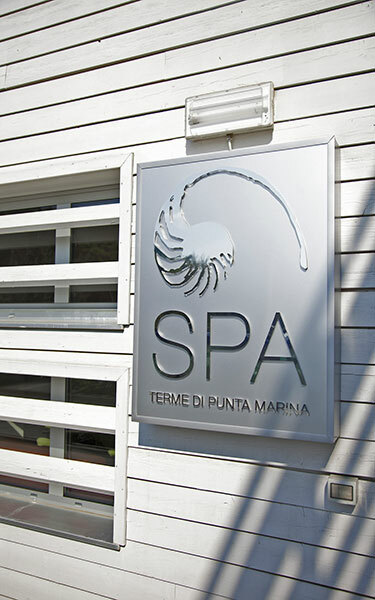 The Terme Beach Resort is part of a complex that includes a Spa and the Terme di Punta Marina. 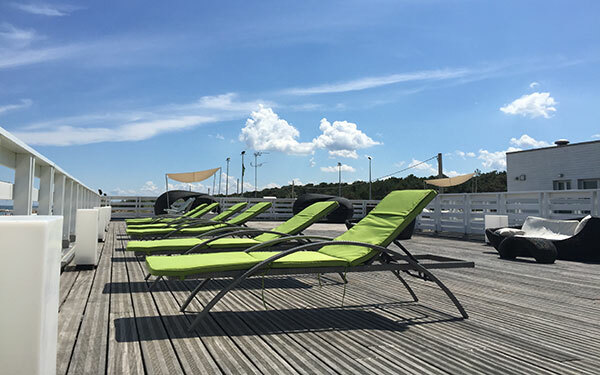 The most striking facilities are the thermal pools with bromide and iodide salt water at 33°C, with free access offered to guests of the resort. Here fitness instructors run acquagym and gymnastics courses all year round, and intensive swimming courses for children. 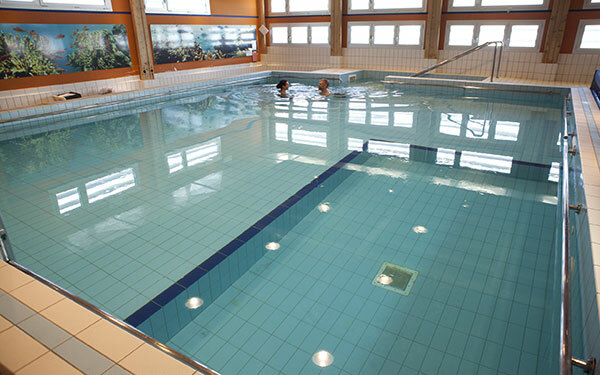 In addition to the pools, the spa contains Jacuzzi baths with thermal water, hydro-vascular circuits, a Finnish sauna and an area for relaxing with herbal teas. 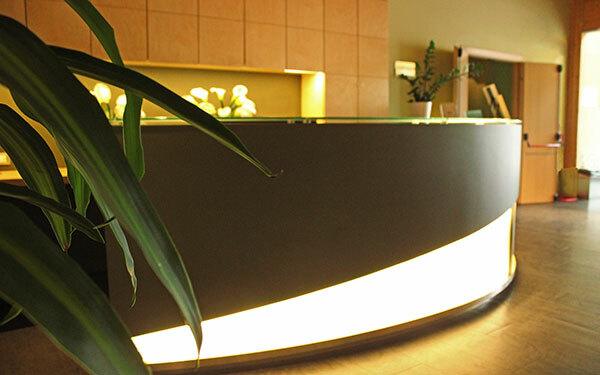 The Wellness Centre offers personalised treatments for the face and body, beauty treatments, relaxing or decontracting massages, with lava stones, essential oils or shiatsu techniques. 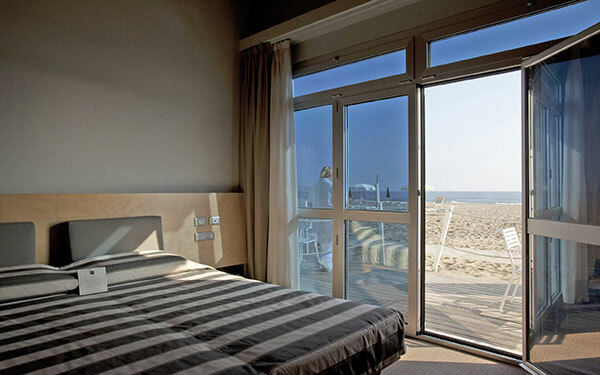 The 26 bedrooms of the Terme Beach Resort are arranged over two floors and in three different room types: Classic Rooms with a double shower in the bathroom, the Special Design Rooms that have been designed for disabled guests, and Family Superior Rooms, with 40 square meters of floor space and room for up to 4 beds and a cot, as well as a Jacuzzi in the bathroom. 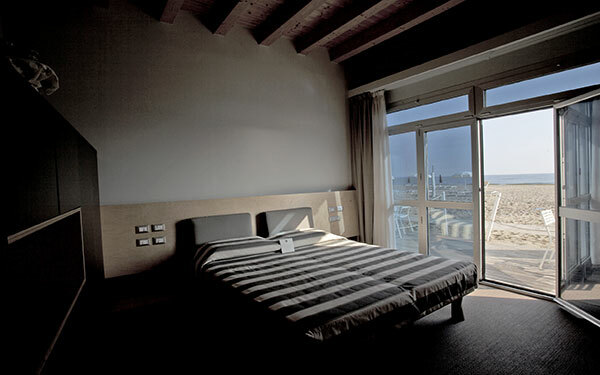 Some Classic rooms have sea views and have a private balcony with tables and chairs. 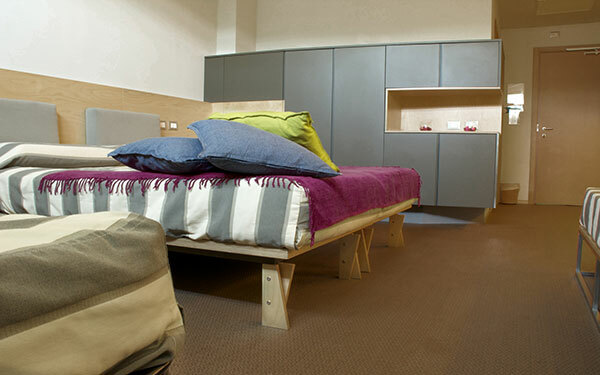 All rooms have adjustable air conditioning and heating, satellite TV with the full Sky package, tea and coffee making facilities, a minibar, a safe, and Wi-Fi internet access. 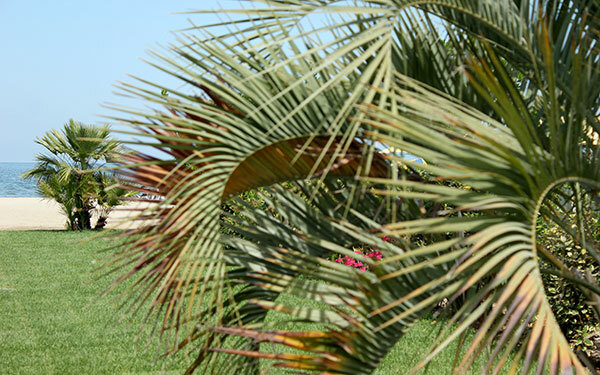 The Marlin Beach & Restaurant proposes lunch and dinner with traditional, local and Italian dishes; with home-made puff-pastry, fresh catch of the day and chef-prepared desserts, all to be accompained by high quality, Italian wines. 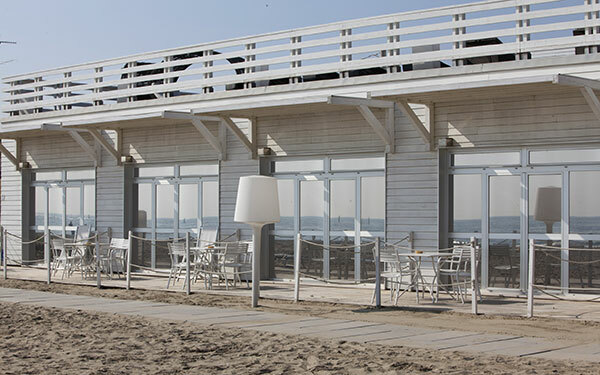 The menu extends to barbequed meat, which can be enjoyed directly on the beach. Just a few minutes drive from the Resort is the city of Ravenna, once the capital of the Western Empire, rich with monuments and sites of historic-cultural interest, including the Museo Arcivescovile with the Chapel of Sant' Andrea and the ivory pulpit, the Neonian Baptistery, the Basilica of Sant-Apollinare Nuovo, the Basilica of San Vitale and the Mausoleum of Galla Placidia. More in general, the city offers numerous points of interest for visitors of all ages and at any time of year, including concerts, art exhibitions, fairs and events of all kinds. For the kids there's the amusement park of Mirabilandia, just half an hour from the resort, and the Ravenna Safari Zoo, where you can see more than 450 animals of 40 different species. 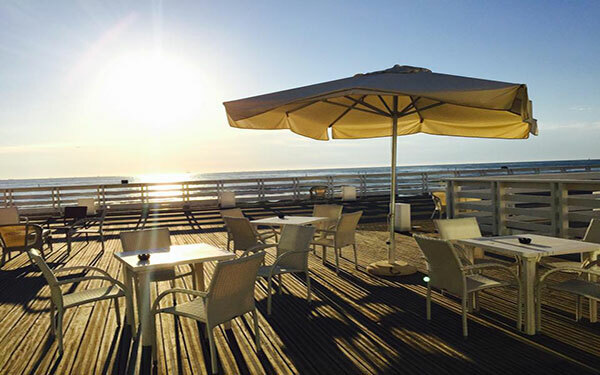 Rimini and Riccione are famous for their vibrant night life and are within easy reach just along the coast.